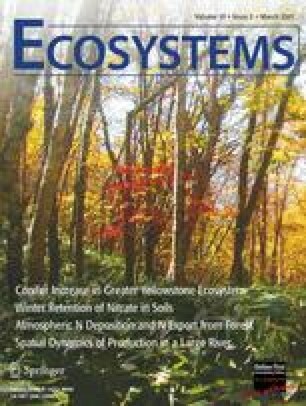 Eddy covariance forest age gross ecosystem production (GEP) managed forests net ecosystem exchange (NEE) respiration stand-replacing disturbance. This study was supported by the National Science Foundation (DEB-0129405), Northern and Southern Global Change Programs of the USDA Forest Service, University of Toledo and US–China Carbon Consortium. We gratefully acknowledge the Washburn Ranger District for permission to carry out the study on their land and the staff at University of Wisconsin Agricultural Research Station in Ashland for logistical support. Sincere thanks to David Billesbach for advice regarding data processing protocols. Jared DeForest offered constructive comments on the earlier versions of the manuscript and Lise Waring edited the language. Soung-Ryoul Ryu provided soil C and N data, John Rademacher, Dan Wozniczka and Leif Williams assisted with field data collection and site maintenance.